Your latest options in fun, fresh, gender neutral baby designs have just landed on Australian shores and you won’t be disappointed with this adorable, vintage inspired range. Moobles and Toobles is all about playful, nostalgic and timeless illustrations with a modern twist. Founded in Dublin, Ireland in 2013, Moobles and Toobles makes a range of baby textiles including bodysuits, blankets, dresses and cushions that have been exclusively designed by creator, Nadia Cruikshanks. 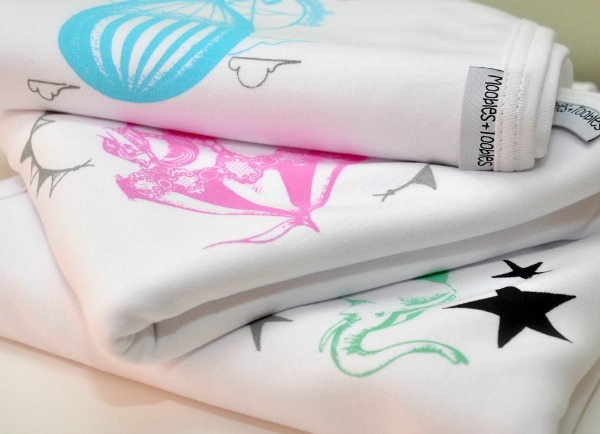 All the textiles that Moobles and Toobles produce are made from 100 per cent organic cotton. In addition, the illustrations are screen printed by hand, using a traditional process with water-based, non-toxic inks and everything is made in the European Union in safe working conditions for fair wages. I love that all of the Moobles and Toobles products are designed with kids in mind. The dresses and babysuits are perfect for everyday wear and can be washed and ironed without compromising the quality of the garment or design. 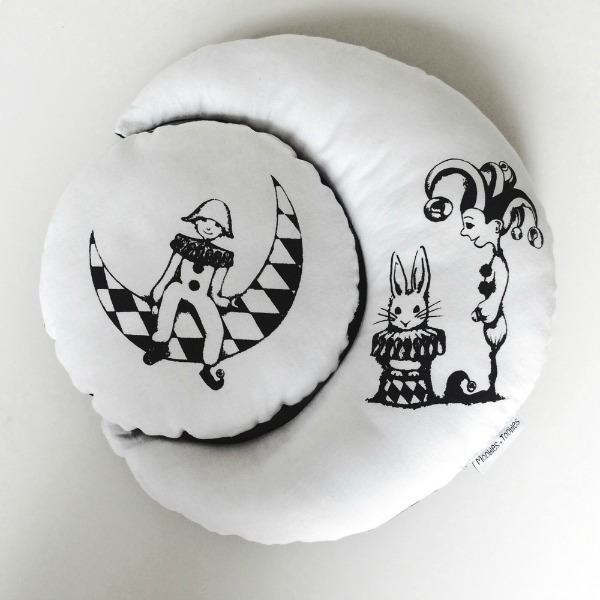 Their latest range really encapsulates the excitement and wonder of a vintage circus or fair. Nadia’s illustrations and monochromatic screen printing style work perfectly to create an inspired collection that looks like it could be straight out of a classic storybook. With stockists now available in Australia, getting your hands on an original Nadia Cruikshanks design just got a lot easier. Find Moobles and Toobles products at Hush Little Baby.